PUMA, the global Sportlifestyle brand proudly introduces the evoSPEED 1 FG, the new performance football boot that features the criteria of light, flex and fit. At 6.8oz the evoSPEED is one of the lightest football boots in the market, the boot continues PUMA’s successful SPEED theme. The evoSPEED 1 FG is part of PUMA’s newly launched evoSPEED cross category product offering, that exists across all PUMA sport categories. All these products incorporate technologies inspired by performance innovations also being used for Usain Bolt, the World’s Fastest Man. The evoSPEED 1 FG is the next generation in PUMA’s Speed silo and is designed to help players achieve top speed and enhance the maneuverability. The upper features a soft and ultrathin microfiber material whilst stability is provided by the internal EverFit cage. The anatomically engineered lightweight one-piece outsole provides stability and support, utilizing high-tech materials to minimize weight and to maximize its flexibility and reactivity. The evoSPEED 1 FG features an external heel counter which secures an excellent heel fit and the new PUMA evoAptoLast which provides an industry leading fit. Designed under the criteria of “light, flex, and fit”, all evoSPEED footwear features lightweight materials, increased flexibility and an optimized fit that enables a greater freedom of movement without compromising support, to enhance speed. For the first time in PUMA’s history, the classic Formstripe has been changed and a new lightening version, a signature graphic that emphasizes speed and harkens back to Usain Bolt, will be featured on the complete evoSPEED footwear collection. 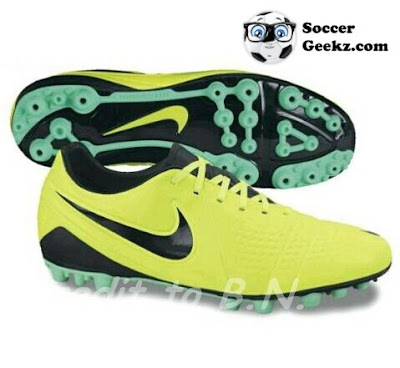 Aguero commented, “The new boot really impressed me. As a striker I always need to get up to speed very quickly and the boot seems to be perfectly suitable for this. 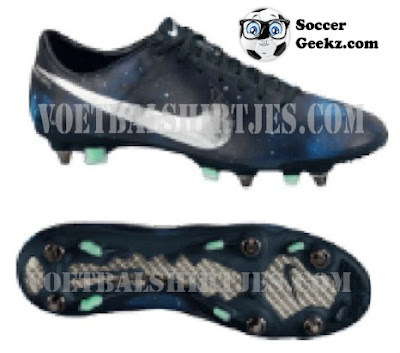 I like how flexible the sole is, it helps me to change directions quicker and really distinguishes it from other football boots”. 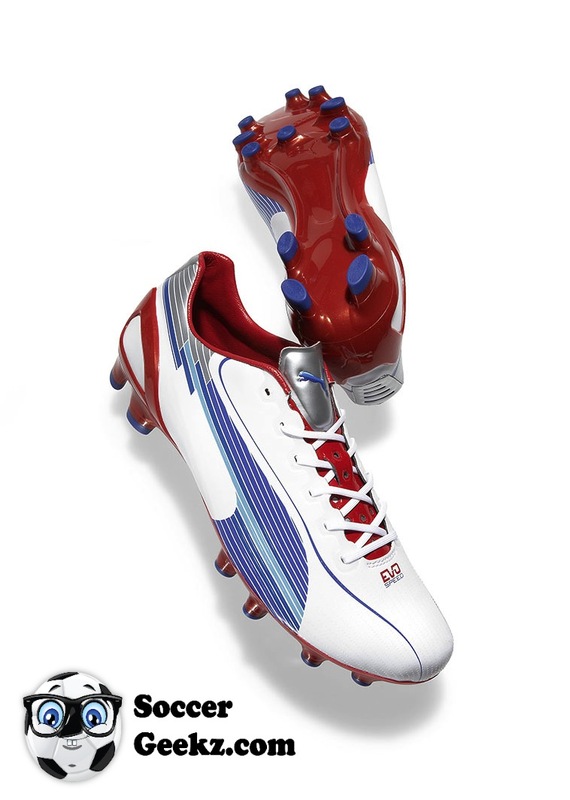 This summer, the evoSPEED 1 FG will be worn on pitch by PUMA footballers including the German striker Mario Gomez during EURO 2012, Radamel Falcao and Sergio Aguero in World Cup qualification matches in June. 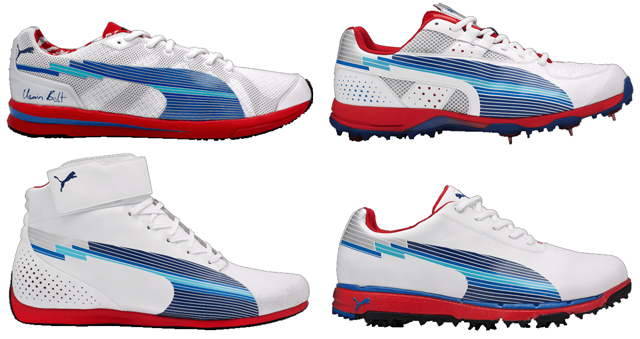 Also in other categories, the evoSPEED styles will be worn by PUMA’s key athletes throughout this summer and beyond. Included categories are running (e.g. Usain Bolt), motorsport (e.g. Fernando Alonso), golf (e.g. Rickie Fowler), cricket (e.g. Yuvraj Singh) and indoor sports (e.g. Luc Abalo).